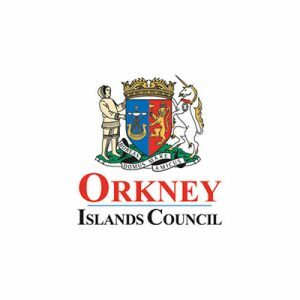 Orkney Islands Council are looking for public views on how people use “active travel methods” — such as walking and cycling — in Stenness and neighbouring World Heritage Site area, as part of an Active Travel Plan. Active travel means making journeys by physically active means so would usually be shorter journeys, like walking to a shop or other community facility, walking the kids to school or cycling to work. The council will be holding a public consultation drop-in event later this month aimed at understanding if, and how, local people currently use active travel methods in the area and what facilities could be developed in future to help them do this more often. The consultation team are particularly interested in hearing from people who live and work in Stenness and the surrounding area, but all are welcome. The project is the latest in the county to be given funding by Sustrans Scotland, the aims of which is to encourage walking, cycling and wheeling, thereby boosting the public’s health and safety. Councillor Graham Sinclair is chairman of the council’s Development and Infrastructure Committee. He said: “The Development and Infrastructure Committee recently approved a World Heritage Site Masterplan document in partnership with Historic Environment Scotland and also agreed to undertake a feasibility study to look at active and sustainable travel options in the World Heritage Site. The council’s public consultation drop-in event will be held on Thursday, April 25, 2.30pm to 7.30pm at Stenness Community Centre. An online consultation questionnaire for the consultation is also available here.